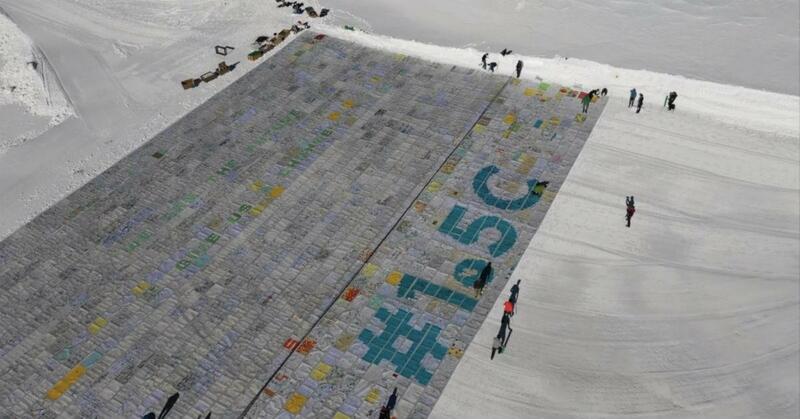 Young climate activists may have just created the world’s largest postcard. On Nov. 16, environmental organizers from the WAVE Foundation assembled more than 125,000 postcards atop Switzerland’s Aletsch glacier in a stunt that they hope will call others to action. As the Associated Press reports, the postcards contained messages and drawings from kids across the globe. Individually, they called for more trees and less pollution. Together, they broadcast these concerns on a much larger scale. The assembled cards spelled out messages like, “We are the future” and “Give us a chance” in green block letters. “Stop global warming” was even more visible in red. But the largest missive appeared in towering blue digits: “#1.5C.” This hashtag refers to a temperature cap recommended by UN scientists — if the planet warms 1.5 degrees Celsius over pre-industrial levels by 2040, they warn, the damage would be catastrophic. The postcards were intended to generate public awareness ahead of a UN climate conference in Poland next month. But the organizers were also pursuing a secondary goal of setting a Guinness World Record for the postcard with the most contributions. According to the AP, Guinness has not logged the effort, even though the current record is just 16,000. All together, the postcards cover a distance that’s half the size of a football field. With a project that size, the children hope they can motivate politicians to implement drastic changes. 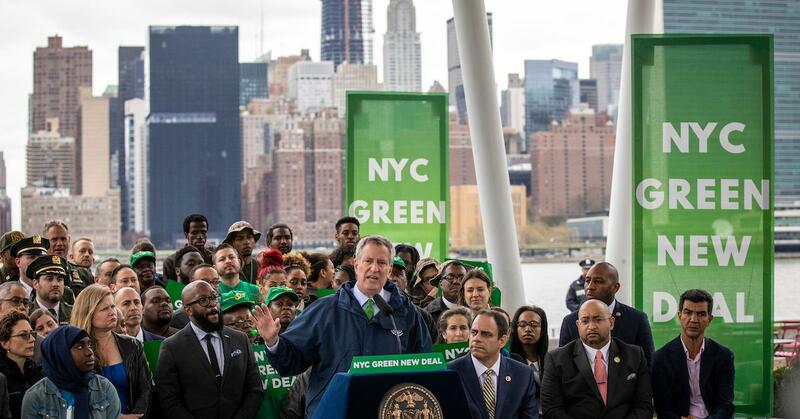 “They are asking us and their leaders to take action to preserve the planet Earth for them to have a future on it,” Oceane Dayer, founder of Swiss Youth for Climate, told the AP. The location of the cards was significant, since the Aletsch glacier has been shrinking at an alarming pace — nearly 40 feet per year, Reuters reports. Although the glacier currently spans 14.3 miles and is visible from space, scientists believe it could disappear by 2100. It has already lost 1.9 miles since 1870. With that in mind, the organizers are currently tallying the carbon footprint of their stunt. They plan to balance the emissions generated through shipping — many of the postcards arrived through Swiss diplomatic posts — with double the amount in offsets. "Children and young people have a key role to play if [the 1.5C] goal is to be achieved, both as generations that will suffer from the consequences of climate change for a long time and as a force for concrete action," the Swiss Agency for Development and Cooperation, which coordinated the event with WAVE, said in a statement. As story after story of young climate activists inciting change unfolds, it’s clear the kids are more than ready for this role.